The French version of the first book in the career development series is now published. 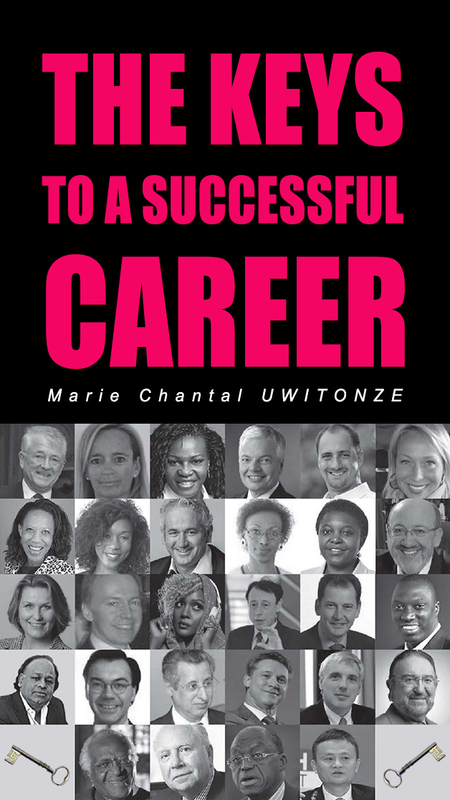 The Book “The Keys to a Successful Career (in French “ LES CLES D’UN PARCOURS REUSSI”) by Marie Chantal Uwitonze is based on testimonials of success but also of failure of people from different socio-economic and professional backgrounds, from Europe, Africa, Asia or America. It tries to define the notion of success and determine conditions under which everyone can succeed. The book is the proof that success depends mainly on effort, determination and a certain number of golden rules that everyone must adhere to throughout their lives. Success is accessible to everybody who spare no efforts to achieve it regardless of their social background, regardless of their past or that of their family, regardless of their origin.